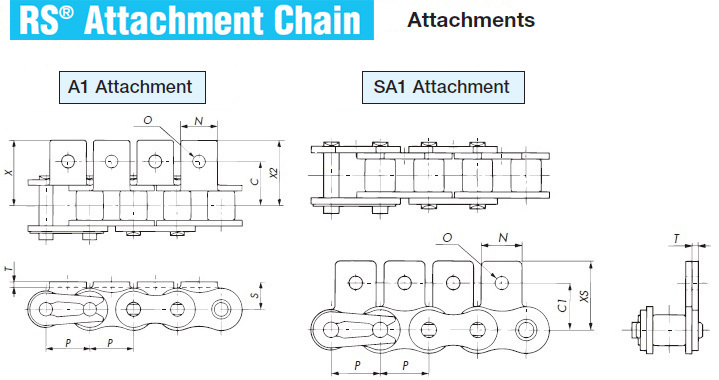 The right Small Size Conveyor Chain will be selected based on the conditions you specify. 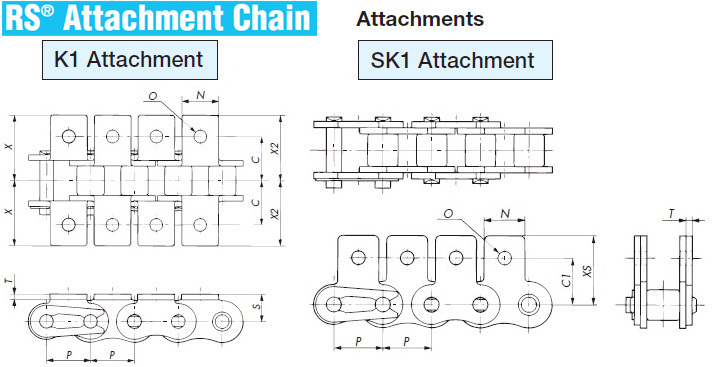 LSC Series stainless steel, LSK Series stainless steel, and KF Series chain. Contact a Tsubaki representative when using three or more strands. 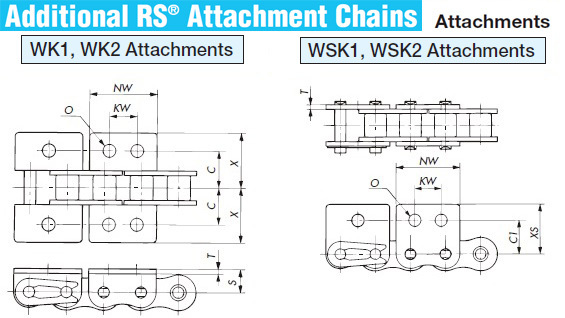 Check the following allowable load of rollers and attachments. 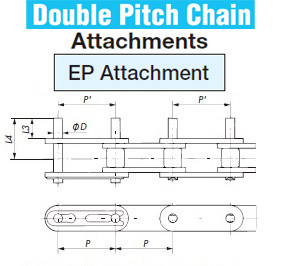 A chain that suits the inputted load conditions could not be found. Make sure the roller load is smaller than the values in the table above. If the roller load is larger than the values shown, refer to the table below and use a size that can handle the load. 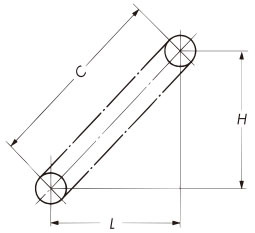 This value is for when there is lubrication between rollers and bushes. *RS25 and RS35 are bushed chains with no rollers. Contact a Tsubaki representative if considering their use. "Make sure that the load on the attachments is smaller than the values in the table below. 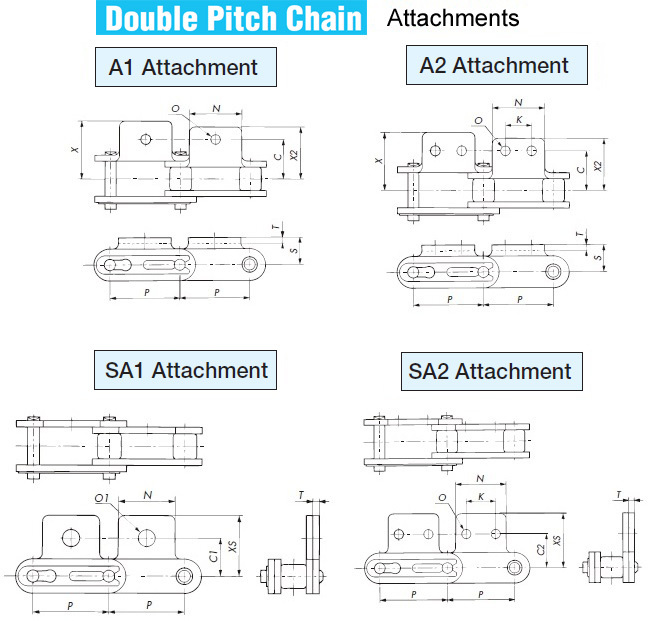 The attachment hole of an A attachment is the point where the allowable vertical load acts on the attachment. 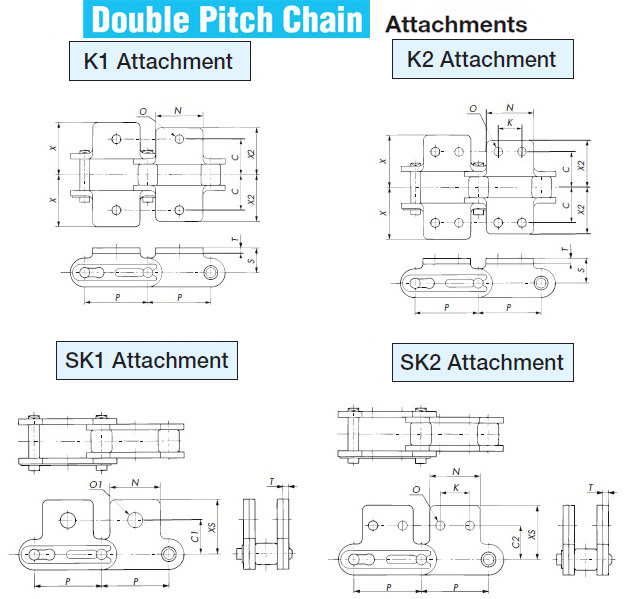 K attachments have double the values shown for A attachments. Input or select the following usage conditions and press the tentative selection button. 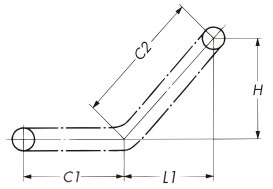 Jig mass per meter bucket, apron, etc. Actual selection is complete. Please confirm the following selection results. The maximum allowable load of the tentatively selected chain is insufficient.Select a larger size chain and try an actual selection. 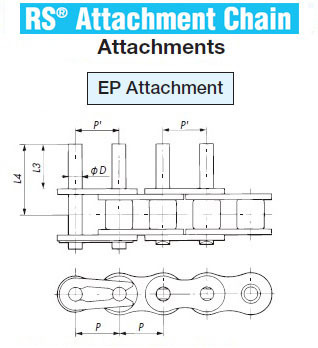 ※RS25 and RS35 are bushed chains with no rollers. Contact a Tsubaki representative if considering their use. This calculation is a rough estimate. Please be aware that operating temperature, environmental conditions, and other situations may preclude use.